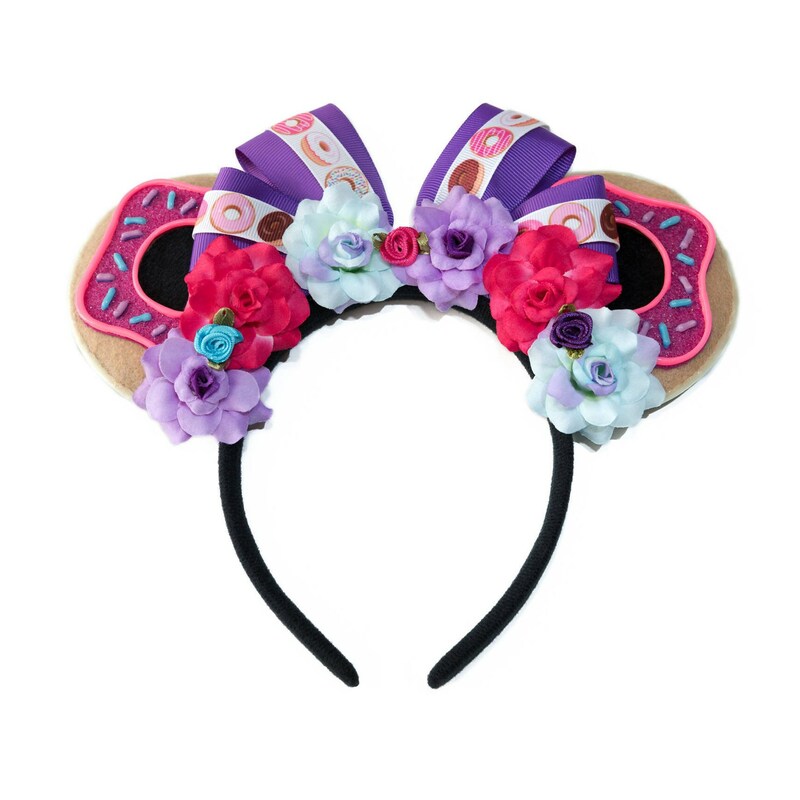 You will adore this Kitty Katrina Donut Mouse Ears Headband! 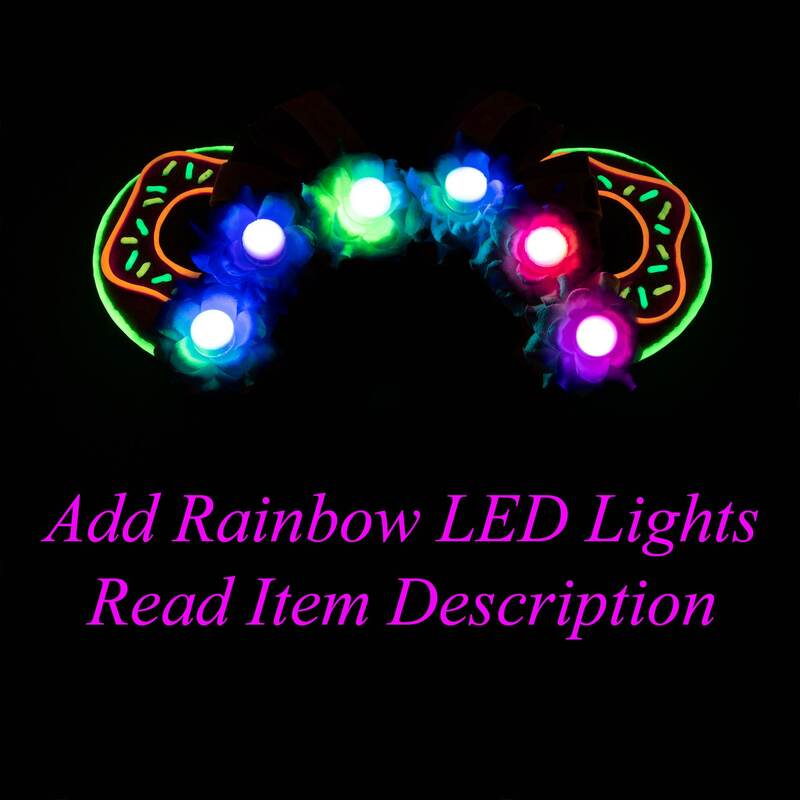 This beautiful headband features a handmade purple bow overlaid with blacklight responsive donut detailed ribbon, along with purple / hot pink / blue-purple silk roses, and hand-painted, blacklight responsive / glow-in-the-dark donuts on the ears (see images). Product Details: 1 Headband is included in this purchase. This Headband fits most head sizes. The ears extend roughly 3-4 inches from headband. Each rose is roughly 1.75" in diameter. 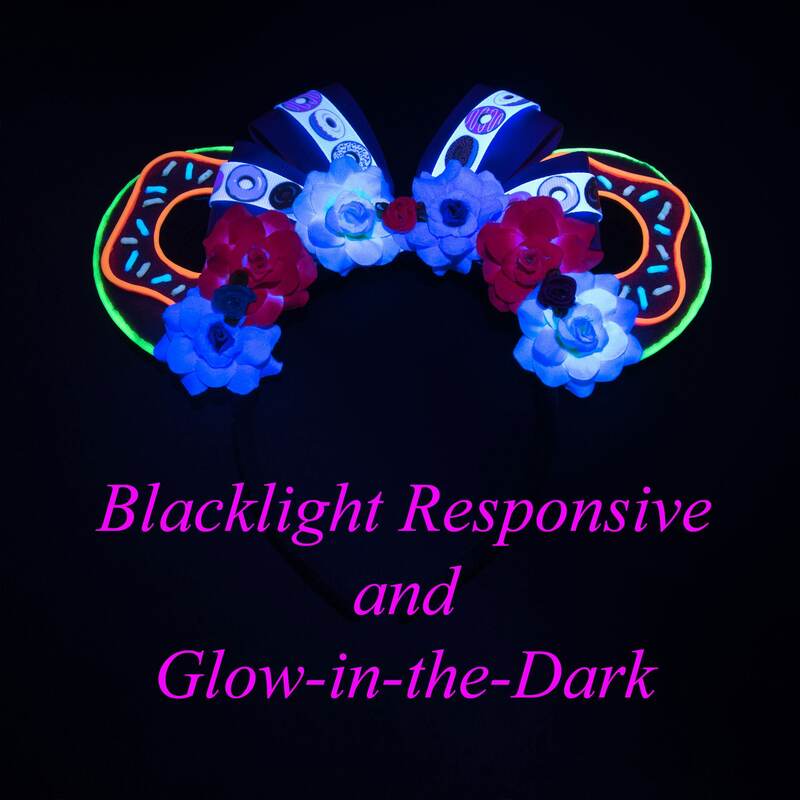 The glow-in-the-dark donut ears glow after being exposed to light. To operate the LED Lights, gently turn light head to the RIGHT to turn ON, or turn LEFT until rotation STOPS. AVOID water on LED Lights to ensure long-lasting wear. SHIPPING NOTE: Because all of our Shop's items are handmade / made-to-order / customizable, our Processing Time for ALL of our items is 5-7 Business Days BEFORE shipment occurs (excludes Weekends and U.S. Federal Holidays). 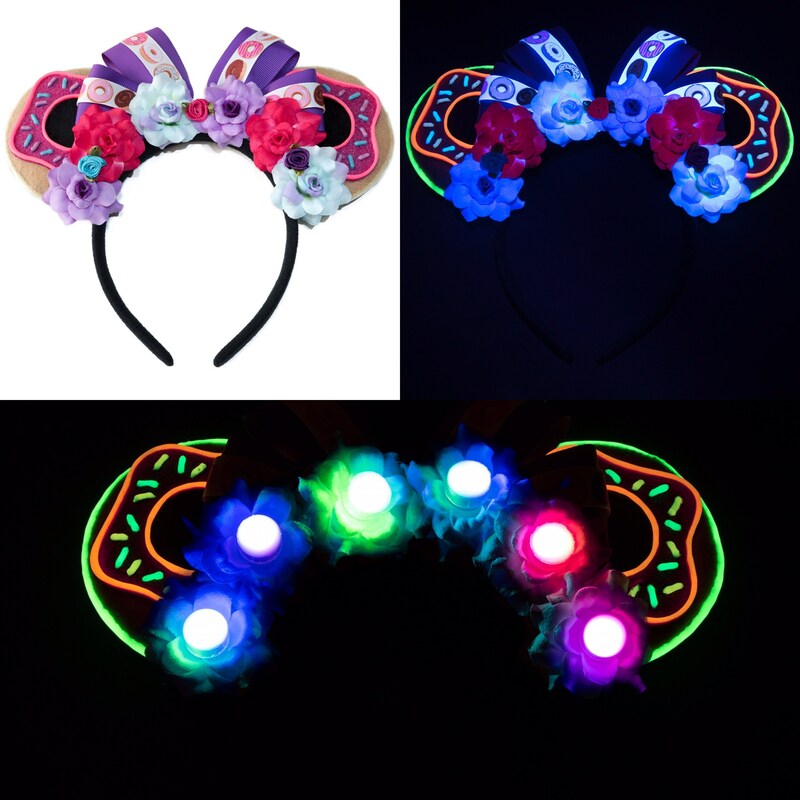 This is especially true for this specific mouse ears design because the donut ears are hand-painted. This means it takes up to 7 Business Days for this headband to properly dry before being shipped - please keep this in mind when ordering. Great quality and fast shipping. Thank you. These are even more beautiful in real life! They are a surprise for my daughter, but I gave them a test run and it seems like they will be comfortable and stay put.